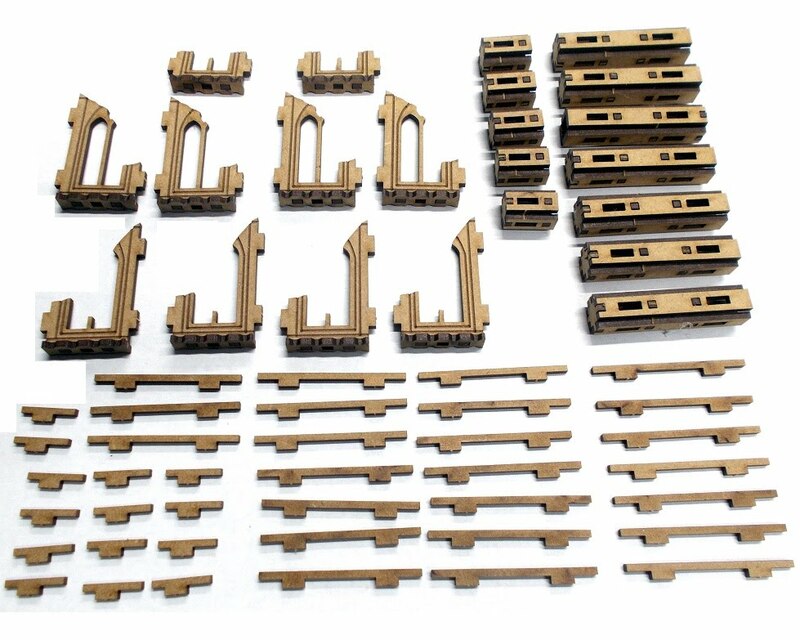 With Salute only a couple of weeks away, we thought we'd give a Sneaky Peek at one of the ranges we're releasing at the show. 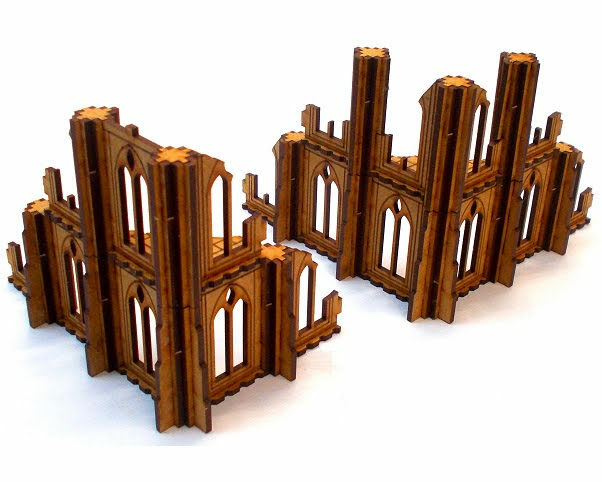 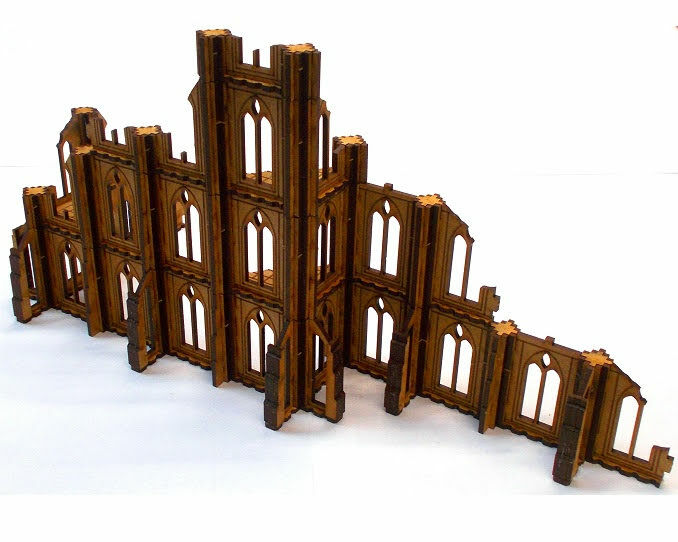 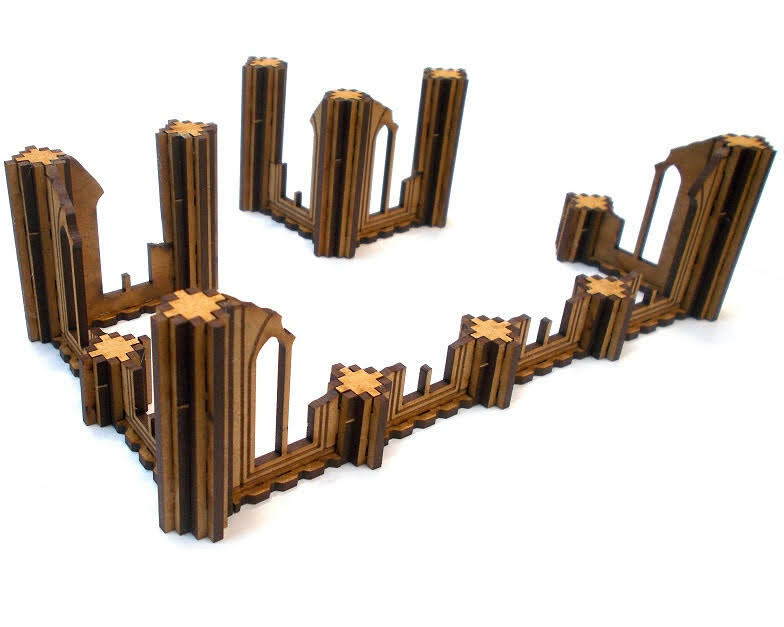 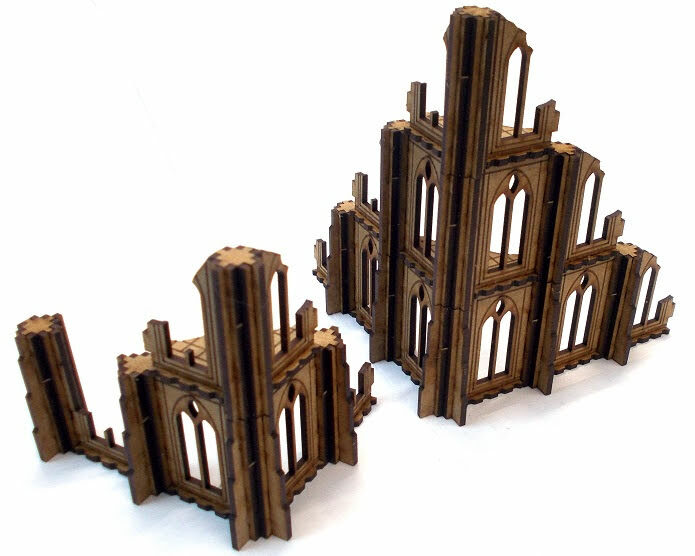 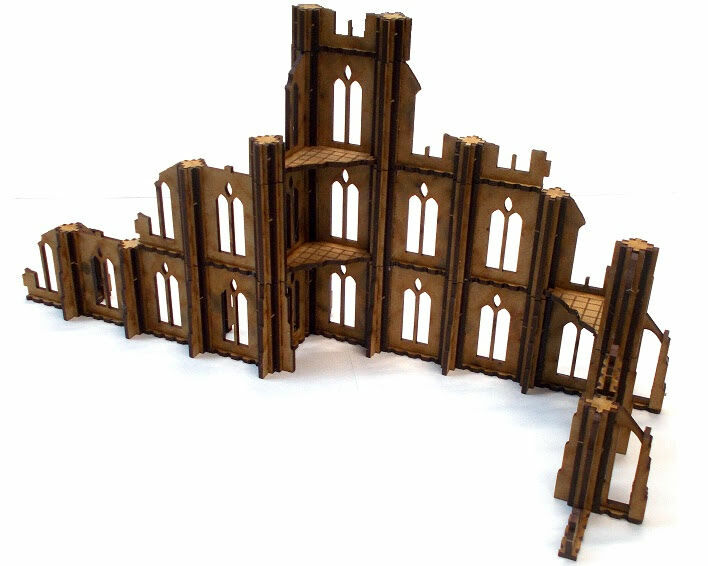 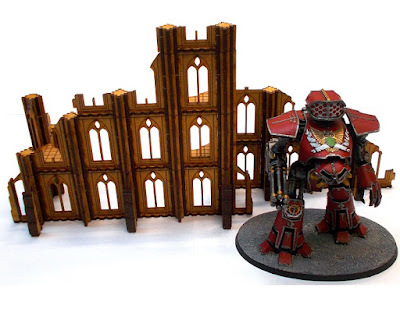 Our Future Gothic range is mainly aimed at 8mm games such as Adeptus Titanicus, but the buildings are of such an epic scale that they also work well with 10mm games such as Dropzone Commander. Being completely modular, you can build the kits into pretty much any configuration you fancy - and even mix-and-match kits together to form bigger sets of ruins. 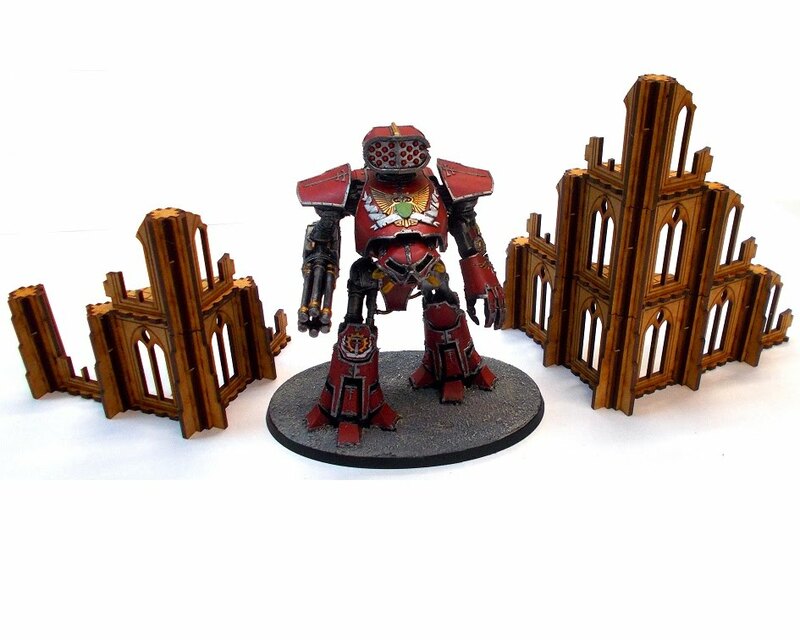 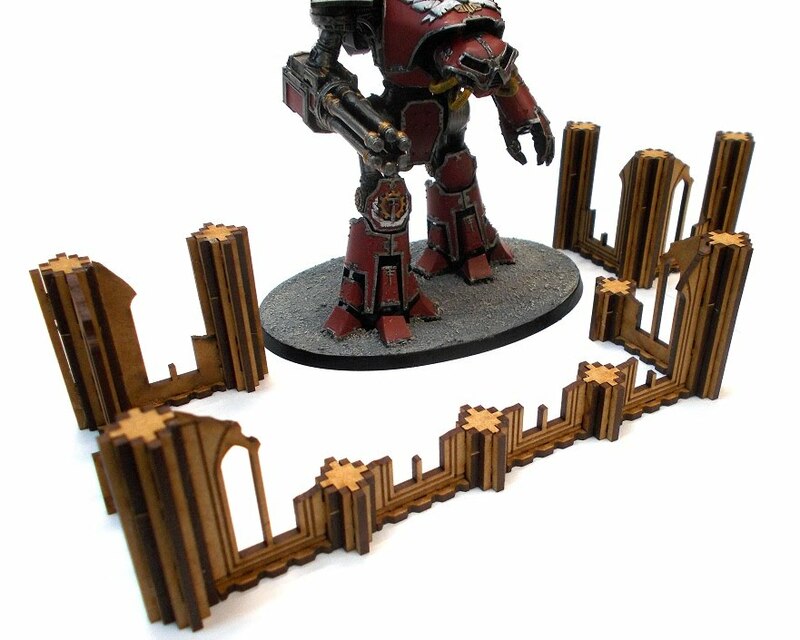 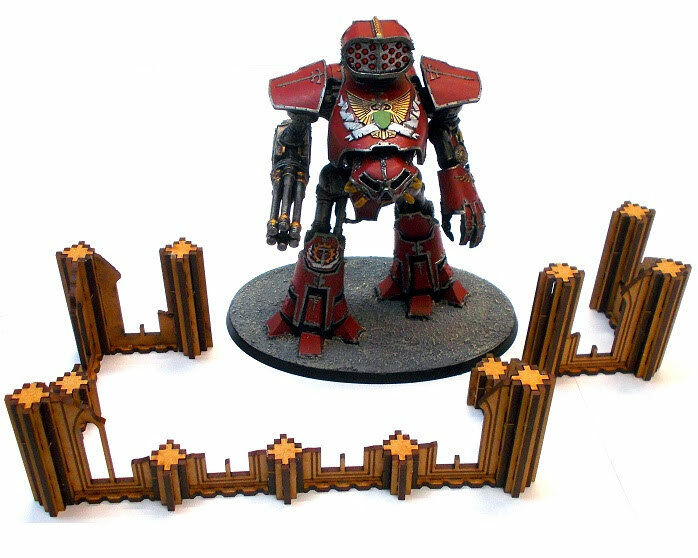 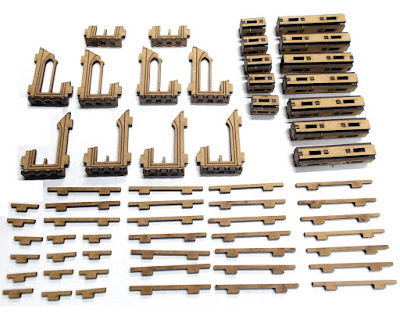 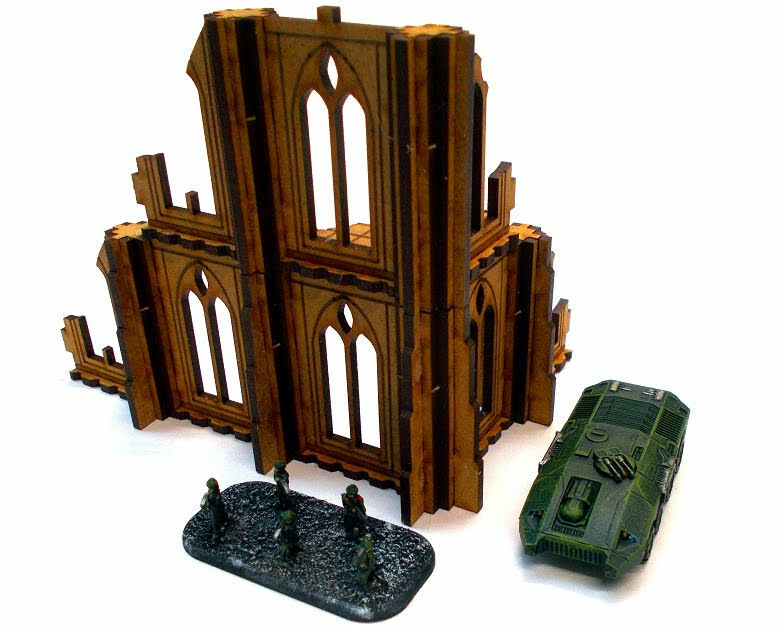 An 8mm scale ruins pack suitable for use with games such as Adeptus Titanicus (Games Workshop) or Dropzone Commander (TT Combat). 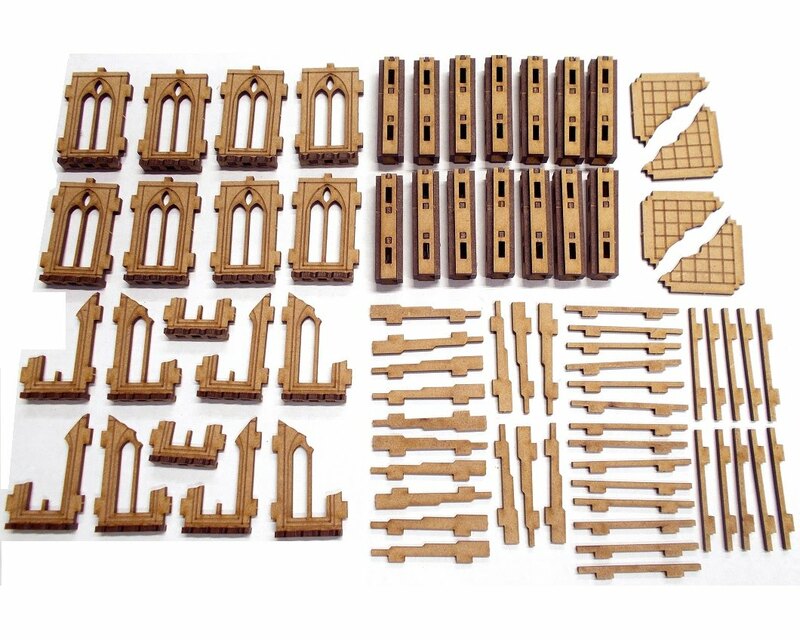 The kit is modular, so can be made up into any number of different configurations. The price the the kits range from £6 to £15 and they are available on the Blotz website now. 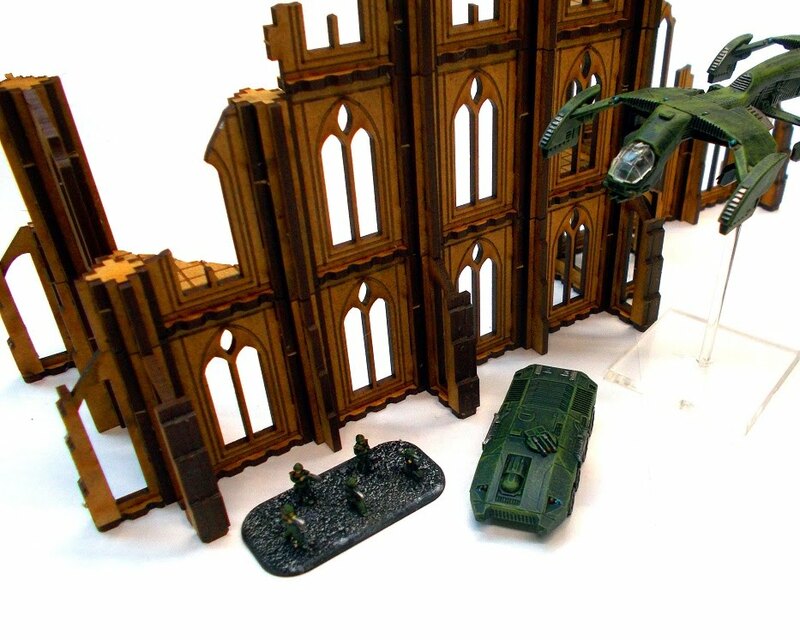 To find us at Salute - head for stand TS13. And why not pop in an order for collection at the show - simply select "Collect at Salute" as your shipping option and your goodies will be ready and waiting for you.